Aluprof systems and solutions has recently announced the appointment of Przemyslaw Federowski as Facade Engineer in its London office. 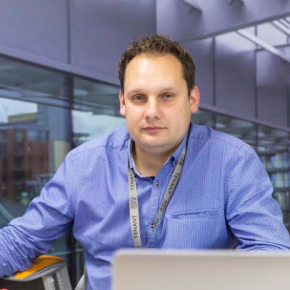 Having worked in the UK facade and solar shading industry Przemyslaw is a trained engineer and his new role will see him assist specifiers in detaining Aluprof systems into any project particularly where challenging details are required. The new appointment comes following Aluprof’s push to expand the London office with the appointment of two new Project Consultants in August.